If you’re a huge cheese fan but you aren’t sure whether or not you should include it in your diet, I have some good news for you: Cheese has some awesome health benefits. When trying to maintain your health, I know at first glance cheese seems like it would fit nicely on any list of ‘foods to avoid’, but look again. Cheese is a fantastic source of some of the most important nutrients your body needs. Let’s learn more about cheese. What are your favorite kinds of cheese, and how often do you eat them? 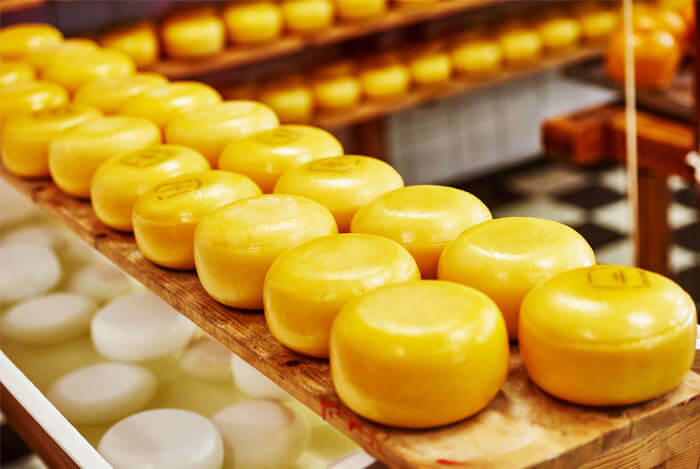 Cheese can be produced in a number of ways – nearly as many ways as there are kinds of cheese to choose from. But, while some cheeses require extra steps and some occasionally difficult procedures to create properly, at its core, cheese-making is a simple process. In its most basic form, cheese is made by curdling milk, the same process that produces yogurt, wherein the milk coagulates and the stuff inside it can be separated. The solid parts (fats and proteins) are split from the liquids (whey protein and water), and what happens afterward determines what kind of cheese you’ll end up with. Curdling milk can be performed with acids like lemon juice or vinegar, or with an enzyme like rennet. Depending what acid is chosen, this alters the end product, changing the consistency, appearance, and flavor of the cheese. Softer cheeses have not been aged as long, and have usually been made with acids. These include cheeses like cottage cheese, sour cream, Brie, Camembert, and ricotta. Semi-hard to hard cheeses made with rennet and ripened by natural (or sometimes added) bacteria or mold, include Colby, cheddar, Swiss, Parmesan, Blue, Roquefort, and Asiago. Because of the way they’re served, these are often better known as grating cheeses. 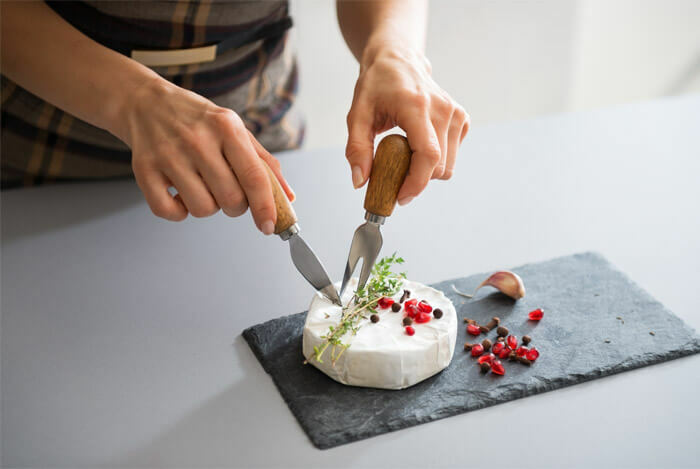 Because cheese is a dairy product, it contains a lot of the same nutrients you can find in milk or yogurt, but often in different amounts, depending on the variety of cheese you’ve chosen. To receive the nutrients they contain, the United States Department of Agriculture recommends 2 to 3 servings of some form of dairy product every day. One of the greatest finds in dairy products is their calcium content. 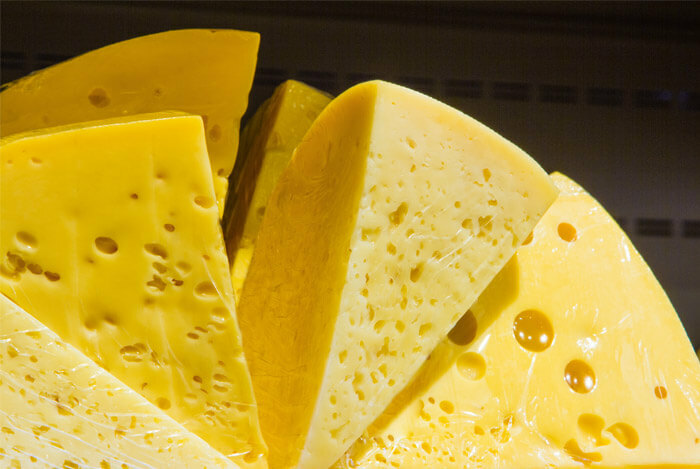 A one ounce serving of Swiss, cheddar, or mozzarella cheese, will provide you with around 200 milligrams of calcium. That’s a fifth of your recommended dietary allowance (RDA) of calcium right there. Cheese, like all other dairy products, is also packed with protein. 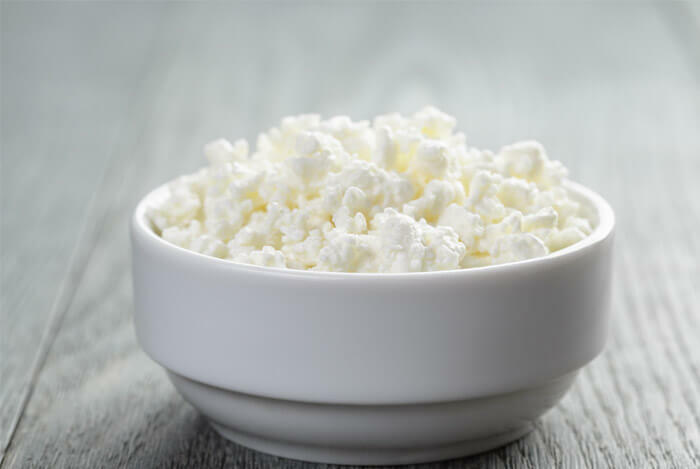 While Greek yogurt takes the cake when it comes to the highest levels of protein in dairy (around a whopping 18 grams), you’ll still be supplied with around 8 grams of protein in a single serving of hard cheese. Contained in most cheese is a plentiful supply of vitamin B12, zinc, selenium, vitamin A, vitamin K2, phosphorous, sodium, and riboflavin. Cheese also contains probiotics, “good” bacteria that can help regulate your gut flora. Maintaining a healthy intestinal environment is essential to good health, and can provide tons of benefits, ranging from digestive, to brain, to heart health. When you take antibiotics, sometimes the balance of “good” to “bad” gut bacteria can be thrown off, so eating cheese as one of your best sources for the “good” guys can replenish your supply and rekindle the healthy environment of your gut, leading to better health overall. Harder cheeses have a much lower lactose content than other forms of dairy, so people with mild lactose intolerance may find they can use cheese to reach their daily calcium, protein, vitamin D, and probiotic allowances. While cheese can sometimes have a very high fat content, it can also be very low, depending on the type of cheese you’re considering. Cheese fat itself is highly complex, containing within it hundreds of different types of fatty acids. While a lot of the fats within cheese are saturated fats, unless you’re eating tons of it, the amounts aren’t enough to worry about for most people. There’s also a fair amount of monounsaturated fat in cheese. A diet with the right amount of calcium ensures you’ll have strong, healthy bones. Doing so can prevent osteoporosis and other bone problems associated with aging. 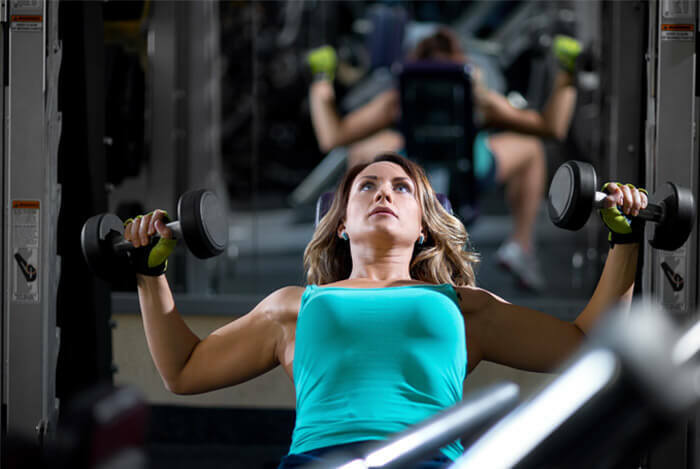 Osteoporosis is a condition where the bones are made fragile via decreasing bone mass and deterioration of bone tissue, leading to eventual fracture. As we age, our bone mass begins weakening over time, making bone health more and more important. Dairy products, because they provide both calcium and proteins, represent a perfect source of nutrients for bone health. But cheese is particularly perfect. A study performed in Finland even found that the probiotic known as Lactobacillus found in cheese helped lower the count of cavity-causing yeast in the mouth. So, if you want to keep your skeleton healthy down to the pearly whites, consider eating more cheese. Not everyone needs the same nutritional benefits as athletes. This is why cheese is practically tailor-made for athletes. While most people in America aren’t exactly looking to gain weight or bulk up, us athletes very regularly are. Full fat cheese can often be pretty high in calories, making it ideal when you need to get in more energy, with the added benefits of the high levels of protein and calcium for heavier and stronger bones and muscle mass. If you’re looking for better performance and more effective workouts, cheese may be your best bet. The “French Paradox” is something that’s still being debated in academic circles. So named for the seeming impossibility of French health in relation to their diets (often high in saturated fats and heavy carbohydrates), the French Paradox has yet to have a real answer. When it comes to cheese, however, the facts are clear. According to the International Dairy Federation, the average Frenchman ate the most cheese per capita of any other country. That’s 25.9 kilograms of cheese on average in France compared to a paltry 15.4 kilograms in America. Yet somehow, the French maintain a low rate of coronary heart disease death. And while I mentioned earlier that the argument over whether saturated fats were really the worst thing for heart health was still ongoing, that may not be all there is to it. 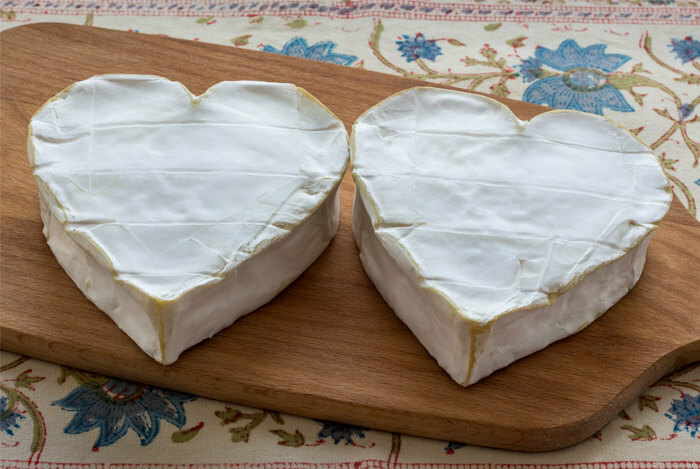 Could cheese be good for the heart? In April of 2015, PBS reported about a group of Danish scientists who took on the French Paradox through the lens of their dairy habits. By following 15 men on three different diets, each with the same amount of calories but with different types of dairy (milk, cheese, and butter), they found a correlation between eating cheese and the excretion of a molecule called TMAO, which is linked to cardiovascular disease. Gökhan Hotamisligil, chair of genetics and complex diseases at the Harvard School of Public Health, said that this study aligned with other works in the field that drew correlations between cheese consumption and protective effects against cardiovascular disease. While this was only a small study, with more research needing to be done on the subject of cheese and heart health, the initial research suggests a positive relationship between eating cheese, and a healthier heart. Most cheese, especially the full-fat versions, are also very high in calories. If you’re trying to watch your calorie intake, you need to stay cognizant of how many calories are in your food. Again, a well-balanced diet is of the utmost importance to all stages of life. If it’s the flavor of cheese you’re really after, go for the stronger stuff. This means you’ll be able to more easily use less cheese while getting equivalent flavor. Go for cheeses like Parmesan or Asiago where a little goes a long way. If you have the common sense to not drench all your food in melted cheese, eat nachos every day, or order too much cheese-on-cheese pizza, you’ll probably be able to avoid the negative health effects associated with cheese while benefiting from all the positives I’ve discussed here today. At the end of the day, cheese is one of those foods where the policy of moderation applies most strictly. You really don’t want to overdo it when it comes to any form of dairy, cheese among them. But you can still fit it into your diet, adhering to serving sizes and balancing it with other healthful foods. So enjoy the taste and reap the benefits of cheese, applying as much thought and care as you would for every other part of your diet.